The interface will be immediately familiar to Android users, as it is exactly the same as browsing for apps on the Play Store. The only difference is in the colour scheme, swapping the light green on the Play Store for a light blue one in Play Books. 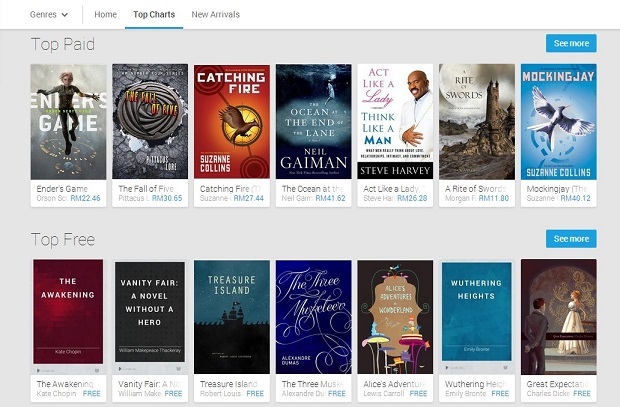 The left-most tab allows you to filter titles via genre, while there are also tabs for new arrivals, as well as the usual “Top Selling” and “Top Free” sections. A quick look through the titles on offer shows plenty of options for readers, from mainstream fiction to comic books and graphic novels. They are also priced competitively – roughly similar as physical books, while some are cheaper. 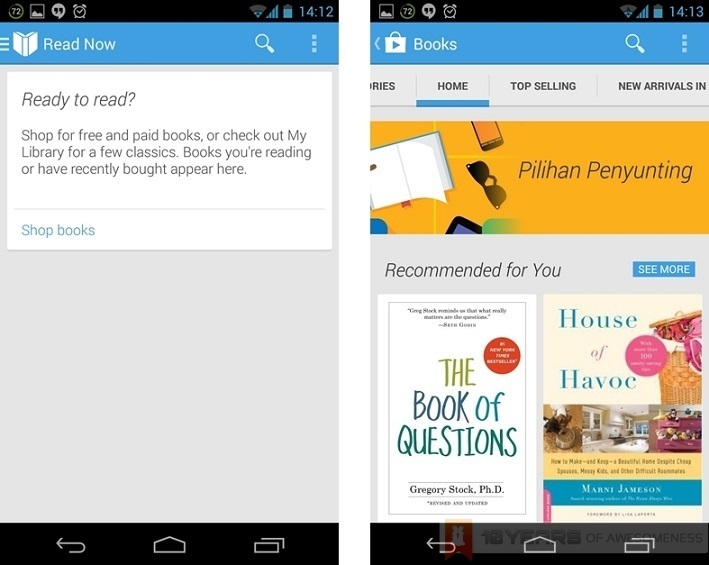 In addition, a quick check at the Google Play support page confirms that Google Play Books has indeed been rolled out to Malaysia. Engadget also confirms that eight other Asian countries have received the roll-out today: Hong Kong, Indonesia, Singapore, Thailand, Taiwan, the Philippines, Vietnam, and India (who received the roll-out slightly earlier). Head on to the new Google Play Books store here. For iOS users, you can download the app here.